Virtual Private Network provides us with secure and confidential connection to the network with no restrictions. To accomplish it a VPN encodes our connection so that no one would manage to trace our activity on the Internet. Due to encoding secure and confidential access to any website hosted online becomes accessible notwithstanding our location, time zone or daypart. Your favourite sites, TV shows and services will be available even in case they are censored. Have you already installed an antivirus system? Antivirus software protects your device whereas VPN software protects you Internet connection. VPN service may seem to you unnecessary. However, you are utterly unprotected without a VPN. And any cybercriminal, advertiser and the ISP may influence the way you use the Internet significantly! I dare assume, now you know that VPN defense is a MUST. However, not everyone can afford a paid VPN. In this regard, it is possible to use VPNs free. We have already discussed best free VPN providers. And now it is time discuss something else. Today you will get to know one more way to break the mould that only paid VPNs are reliable and trustworthy. How to use the best VPN free? Do you want to use the best VPN services without paying even a cent? The way is here – free VPN trial period. 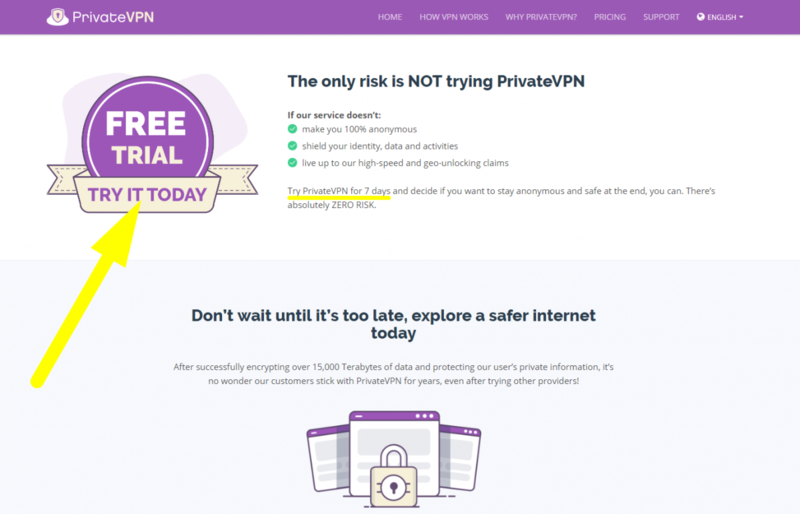 What is free VPN free trial? The period of free trial stands for the time when a person is given an opportunity to take use of all the functions of a VPN chosen with no payment. 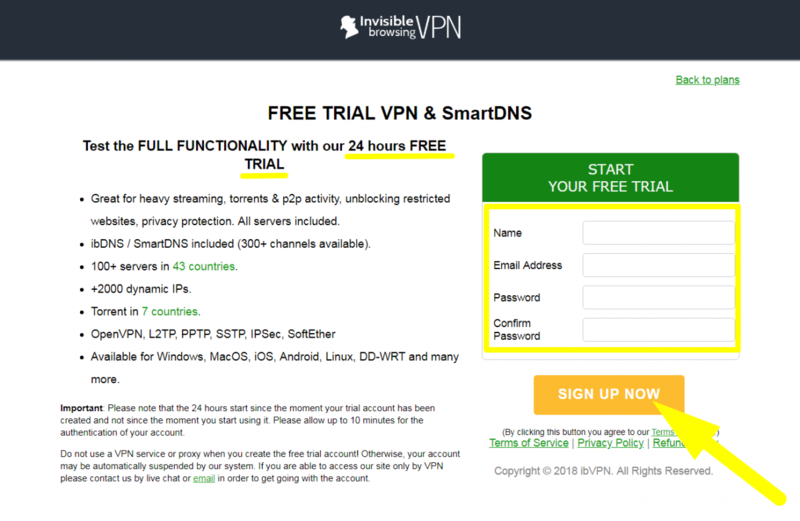 What is a VPN free trial for? To my mind the answer is quite clear – to try the VPN service. I doubt that you would buy a pair of new jeans without trying them on. As for VPNs, the situation is quite the same. It’s better try it before subscribe for. What VPN software to choose? ► A duration of a VPN free trial period. Here is the core of this article! Now we will present the best free VPN service providers according to the duration of their free use: 30 days, 7 days and 1 day. Which one to choose is up to you to decide. But I hope that these brief free VPN reviews will help you! Some VPN providers allow using their software free for a very short period of time – 24 hours or 1 day. But for some savvy consumers this period is more than enough to appreciate the VPN. Let’s have a look at VPNs with free VPN trial that lasts 1 day only. SaferVPN is a US-based VPN provider that was launched 5 years ago in 2013. Due to the network of servers in 34 regions of the world, this provider copes with the restrictions bypassing successfully. Having SaferVPN download you will be given a chance to take use of all the benefits of SaferVPN free for 24 hours. Unlike many VPN providers SaferVPN doesn’t impose constraints on bandwidth or speed. Thanks to it, you will not be limited in your online activity during the period of SaferVPN free trial. Having CactusVPN download you will experience unlimited VPN protection. With 23 servers in 14 countries (including the USA, the UK, Switzerland, Canada) it will be no problems to go round the restrictions imposed by the ISP or the government of even the most restricted countries. However, I dare assume that some of CactusVPN locations are not useful for internet useful. Thus, several Cactus VPN servers are hosted in South Korea, Japan and Singapore. As it is well known, the content undergoes severe censorship in such countries. In this regard, it will be better to take use of US-based CactusVPN servers, as an example. ibVPN provider attracts its subscribers not only by means of reasonable prices ($3.08 – $4.84 monthly), but by an attractive facility to use ibVPN free for 24 hours as well. There are no restrictions in speed or bandwidth, locations or VPN functions for free trial users. Thus and so you may appreciate all the capabilities CactusVPN supplies its users with. In such a way, you are allowed to try over 100 CactusVPN servers placed in more than 40 countries around the globe. Another peculiarity of CactusVPN that will definitely make you try it is the diversity of tunneling protocols. 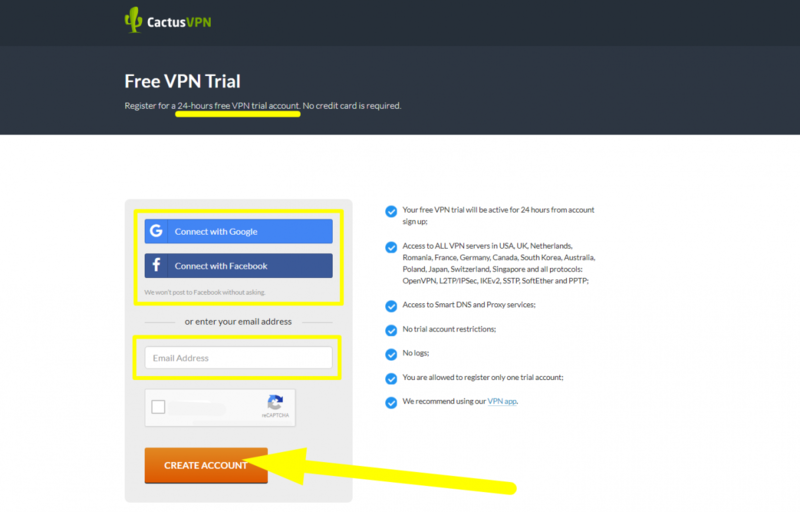 One more significant point that is to be covered is that the period of CactusVPN free trial starts that very minute when free trial account was created. In other words, if you have created account a week ago, but took a decision to try it today, the chance to use CactusVPN free is lost. In case if 1 day VPN free trial is not enough for you, it is possible to pay heed to the VPNs with the 7 days period of free trial. No restrictions for PrivateVPN free trial users. All the benefits of PrivateVPN provider will be available for free during the period of 7 days. You may connect up to 6 gadgets whether it is Android, iPhone, iPad, Linux, Mac, Windows device, Kodi or router. You will experience military-grade encryption with PrivateVPN – 2048-bit. So that any of your data will be under reliable protection of this Swedish VPN. With super fast servers placed in 56 countries worldwide, you’ll cope with the restrictions and censorship to access any content you like. 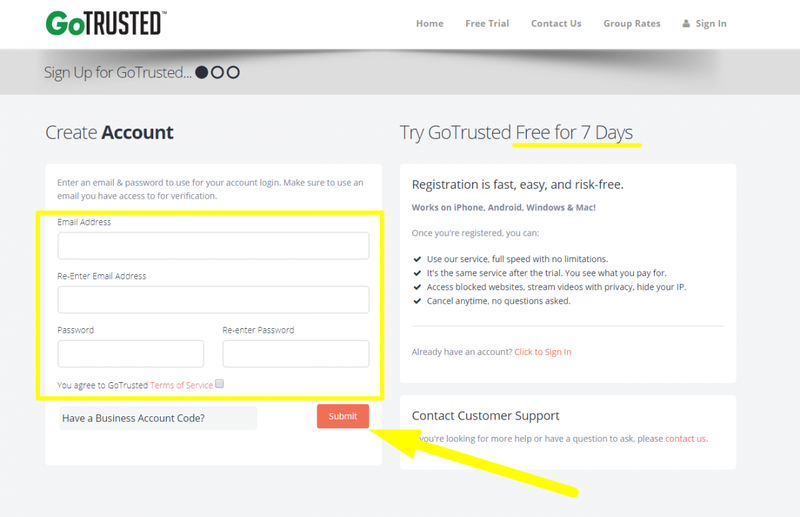 After a procedure of registration, you will be given a unique opportunity to test GoTRUSTED VPN account absolutely free. The free trial time lasts for 7 days which is definitely enough to evaluate the provider. There are no limits for a free trial VPN user. However, GoTRUSTED works with Android, iPhone, Mac and Windows gadgets only. After a free trial period of GoTRUSTED VPN provider is over a user will be notified about the facility to cancel the use of the service or to choose the plan to subscribe for. All these options will be at your disposal during the free trial VPN period. This top-notch VPN provider is famous for its strict no-logging policy, thanks to which a desired level of anonymity is guaranteed. 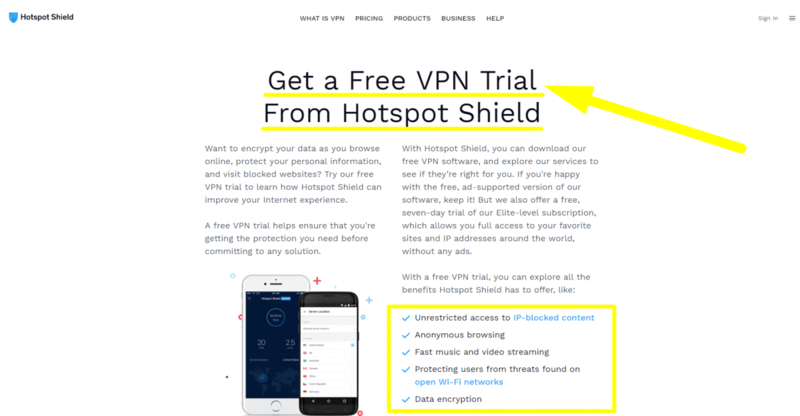 Some VPN providers set up limits for free trial users, but luckily Hotspot Shield is not in the list of such VPN services. However, one is to take into consideration the necessity to inform the provider about the will to use the service (its paid version) before free trial period ends. If you need more time to test the service, the VPNs described in this section will notice your attention. 30 days of free trial are possible! 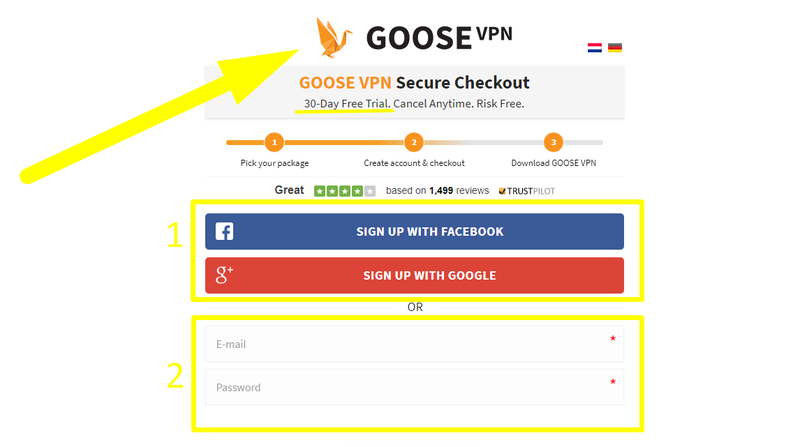 One month or 30 days of free VPN use is not a dream in case you’ve opted for GooseVPN. The process of registration is quite convenient. You may use your valid email address or use your Facebook or Google account to checkout. Some internet users may dislike it, but the provider requires payment details while registration. However, as soon as one takes a decision to cancel the subscription, these data will be deleted. Besides, GooseVPN provides its users with additional security tools for $0.83 per month. Thus, it is possible to forget about malware, viruses and phishing attacks due to additional GooseVPN features. Even the best VPN providers can be free for thanks to their period of free trial. It may last 24 hours, 1 day, 3 days, 7 days, 10 days, 15 days and even 30 day! Although the last variant is the most attractive, it is dead difficult to find the VPN that offers it with no limits. I’ve assisted you in it, as here I have collected only the best VPNs that provide people with free trial with NO restrictions. fast enough servers to enable streaming. Captivated? Don’t miss the chance to use them free!